India abandoned a rule against foreign single-brand retailers operating stores without a local partner, paving the way for global companies including Starbucks Corp. and Ikea. The government ratified a Nov. 24 cabinet decision to raise the ownership limit to 100 percent from 51 percent for single- brand, Trade Minister Anand Sharma said in a statement yesterday. The new rules take effect immediately and require the companies to use smaller Indian companies for at least 30 percent of procurement, he said. Wal-Mart Stores Inc. , Carrefour SA and other foreign chains are still excluded from India’s $400 billion retail market after an attempt last year to change the law failed. Prime Minister Manmohan Singh’s administration has struggled to advance its initiatives amid opposition from its own allies and a corruption scandal that paralyzed parliament. Pantaloon Retail India Ltd., India’s largest retailer, gained in Mumbai trading after the announcement. 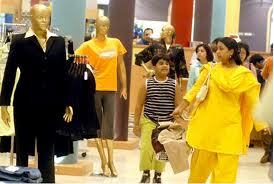 The stock rose as much as 10 percent, the most since Nov. 25, while Shoppers Stop Ltd. surged 20 percent. Trent Ltd., which has a franchise agreement with Tesco Plc, rose as much as 6.9 percent. India’s benchmark Sensitive Index rose 0.4 percent. Starbucks would compete in India with operators including Lavazza SpA’s Barista Coffee Co. and closely held Cafe Coffee Day. The Seattle-based coffee chain said in November it intended to open its first store in India this year. Calls and e-mails to the Starbucks public-relations team in Seattle weren’t immediately answered. Starbucks signed an agreement with India’s Tata Coffee Ltd. in January 2011 to source beans and consider opening stores. 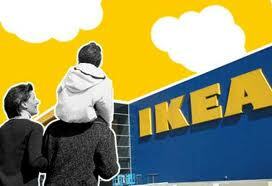 via India Lets Starbucks, Ikea Open Wholly Owned Stores After Wal-Mart Reverse – Bloomberg. The colors of Ikea Italy: blue, yellow and.. green! Ikea Italy announced an environmental investment of € 20 million: 150,000 solar panels to be installed by the end of August 2011in each store so that to create a small solar power station. Clean, renewable, sustainable. About 150,000 solar panels modules will be placed on a aluminum structure resting on the Ikea store roofs, and in Catania (Sicily), also on the bus shelters in the parking lot. An area as big as 16 football fields to cover about 10% of the electricity needs of Ikea Italy. The first floor (showroom) of all stores will be then lightened with this renewable energy. A total of 10,000,000 kWh of electricity, equal to the average consumption of 3,300 households will be produced each year with a reliable and innovative technology. This will prevent the annual emission of approximately 4,000 tons of carbon dioxide, equivalent to the quantity of CO2 absorbed annually by 400 acres of tropical forest and the emissions of 3,300 cars travelling an average of 10,000 km. Another key point of the Company policy is to reduce waste and an effective use of raw materials, recycled materials or easy to recycle ones, natural and renewable energy, CO2 emission reduction thanks to a clever consumption, the optimization of facilities’operational activities and electricity from renewable sources (in 2010 equal to 83% of the total consumption).